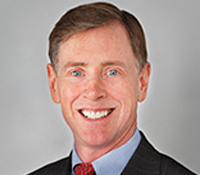 Peter Eastwood is President & Chief Executive Officer, Berkshire Hathaway Specialty Insurance. Peter’s career in the insurance industry spans over 26 years. Prior to leading BHSI, Peter was Chief Executive Officer and President of AIG Property Casualty in the Americas. 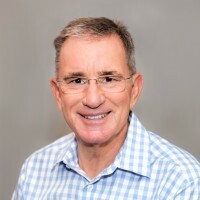 Peter also served as the Chief Executive Officer and President of Chartis, U.S., as well as Chief Executive Officer and President of Lexington Insurance Company from December 2008 to July 2011. Prior to that, Peter served as the President of Risk Specialists Companies, Inc. He has held senior management positions within AIG Executive Liability, AIG Risk Finance and AIG Reinsurance Advisors, including Division Vice President of Commercial Directors and Officers Liability Insurance and Executive Vice President and Chief Operating Officer of AIG Risk Finance. Peter holds a Bachelors of Arts degree in Economics from Ohio Wesleyan University and a Masters in Business Administration degree from New York University, Leonard N. Stern School of Business. 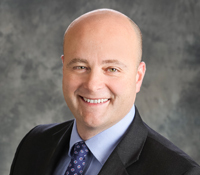 Andre Basile is Senior Vice President and Chief Underwriting Officer, Executive and Professional Lines at Berkshire Hathaway Specialty Insurance. Prior to joining BHSI, he was Senior Vice President and Chief Operating Officer of AIG Financial Lines EMEA based in London. Andre holds a bachelor’s degree in Computer Science from the University at Albany and a Masters in Business Administration from the F. W. Olin School of Business at Babson College. 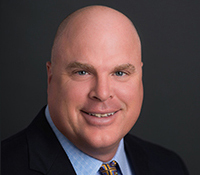 David Bresnahan is Executive Vice President of Berkshire Hathaway Specialty Insurance, responsible for the group’s Casualty, Healthcare Professional Liability, Surety, and Executive and Professional Lines Business. Prior to joining BHSI, he was President of Lexington Insurance Company. He began his career in the insurance industry in 1990 with the Chubb Group and has held senior positions with New Hampshire Insurance Company and other AIG member companies. David holds a Bachelors of Arts degree in Economics from Boston College and a Masters in Business Administration from Boston University. 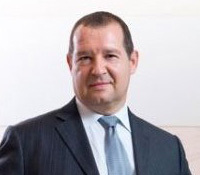 Marc Breuil is President of Berkshire Hathaway Specialty Insurance, Asia Middle East. Marc comes to BHSI with over 20 years of international insurance experience, including more than a decade in various senior level posts in the Asian market. Prior to joining BHSI, he was President & CEO of AIG Hong Kong, Macau and Taiwan. Marc received his maitrise’s degree in Business Administration from Dauphine University in Paris, and a master’s degree from Baruch College. 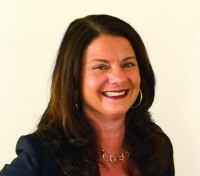 Kim Briones is Senior Vice President of Berkshire Hathaway Specialty Insurance, responsible for Human Resources. Kim has been in the human resources field in the financial services industry since 1989. Prior to joining BHSI, she was the Senior Business Partner responsible for the HR team of AIG Property Casualty for the U.S. Region. Additionally, she has held senior positions in HR and has managed national and international teams. Kim holds a Bachelor of Arts degree from Massachusetts College of Liberal Arts. 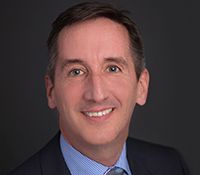 Leo Carroll is Senior Vice President of Berkshire Hathaway Specialty Insurance, and heads strategic growth and production of the group’s Healthcare Professional products. Leo previously led the Healthcare underwriting operation at Zurich in North America. 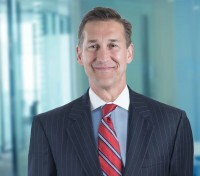 He began his career in 1990 with Aetna, and later moved to AIG, where he held positions in medical liability claims and large account Healthcare underwriting. Leo’s experience includes working with customers in the US, Asia, Middle East, Canada and Europe. He earned a BA in English Literature and Public Law, and holds the RPLU designation. 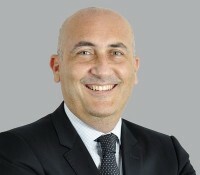 Alessandro Cerase is Senior Executive Offiicer and Head of First Party Lines at Berkshire Hathaway Specialty Insurance, Asia Middle East. Alessandro comes to BHSI with 14 years of global experience spanning both the engineering and underwriting sides of the insurance business. Prior to joining BHSI, he was Global Head of Energy and Engineered Risk at AIG based in New York. He joined the insurance industry in London as a Loss Prevention Engineer after working for 6 years in the refining and petrochemical industry. Alessandro holds a master’s degree in Chemical Engineering from Universita’ degli Studi di Roma. Commerce from Bond University, Australia. David Crowe is Senior Vice President of Berkshire Hathaway Specialty Insurance and leads BHSI’s claims excellence, building out our dedicated in-house claims team and fostering integration of claims and underwriting. 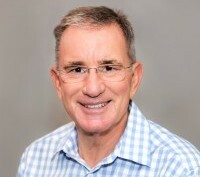 David has been in the industry for over 25 years, and previously was Global Head of Commercial Property Claims at AIG. Prior to joining the AIG companies, David was with Aetna Casualty & Surety and Envision Claims Management where he handled both commercial and personal lines property and casualty claims. David holds a Bachelors of Science degree in Business from Washington & Jefferson College and a Juris Doctorate degree from New York Law School. 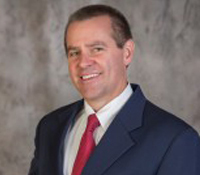 Geoff Delisio is Senior Vice President of Berkshire Hathaway Specialty Insurance, Surety. He is responsible for building a multi-disciplinary team of surety underwriting, claims and legal Professionals to serve the needs of our construction customers and brokers. 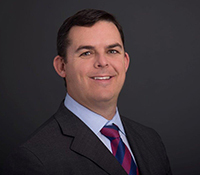 Geoff has over 17 years of surety experience, and was previously Senior Vice President, Surety, at Zurich. A certified Professional Engineer, Geoff spent a decade at a national geotechnical and civil engineering company. He holds master’s degree in Business Administration from Northeastern University and a bachelor’s degree in Civil Engineering from Ohio State University. David Fields is Executive Vice President of Berkshire Hathaway Specialty Insurance, responsible for Underwriting, Actuarial, Finance and Reinsurance. David was previously President of AIG Global Casualty and, prior to that, Chief Underwriting Officer and Chief Reinsurance Officer of the group. David began his career at ISO and has held multiple senior positions, both underwriting and actuarial, at AIG member companies. David holds a Bachelors of Arts degree in Physics from Rutgers University. He is a member of the American Academy of Actuaries and an associate of the Casualty Actuarial Society. 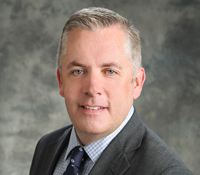 Michael Foley is Senior Vice President and Chief Underwriting Officer, Casualty at Berkshire Hathaway Specialty Insurance. Mike has over 20 years of commercial casualty underwriting experience with industry specific experience in energy, education, public entity, real estate, sports & leisure, and programs. Dan Fortin is Senior Vice President of Berkshire Hathaway Specialty Insurance, responsible for the group’s Executive and Professional Lines business. Dan has been in the insurance industry for over 25 years and was previously Senior Vice President of the management and professional liability business at CNA. Dan holds a Bachelor of Science degree from Villanova University and a Masters in Business Administration from Northwestern University’s Kellogg School of Management. Susan Gildea is Chief Actuary of Berkshire Hathaway Specialty Insurance, responsible for the global actuarial organization. Susan has been in the insurance industry for over 25 years. Prior to joining BHSI, she was Vice President and Lead Actuary for the Specialty Businesses at the Hanover Insurance group. 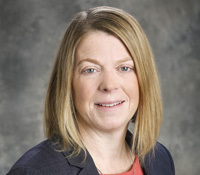 Susan holds a Bachelor of Science degree in Mathematics from Framingham State College and is a Fellow of the Casualty Actuarial Society, a member of the American Academy of Actuaries and holds the Chartered Property Casualty Underwriter designation. 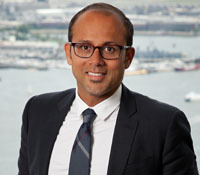 Sanjay Godhwani is Executive Vice President of Berkshire Hathaway Specialty Insurance, responsible for the group’s Property, Medical Stop Loss, Small Business platform and Programs business. Sanjay has been in the insurance industry for over 25 years and was previously President of AIG Latin America and Caribbean and Property Product Line Leader, AIG Property Casualty in the U.S. and Canada. 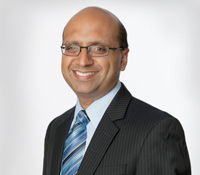 Sanjay holds a Bachelors of Science degree from University of Illinois Urbana-Champaign and is a fellow of the Casualty Actuarial Society and a member of the American Academy of Actuaries. Akshay Gupta is Senior Vice President, Head of Catastrophe Analytics & Engineering at Berkshire Hathaway Specialty Insurance. Akshay has more than 20 years of experience in catastrophe risk analysis, engineering, mitigation, and modeling. Prior to joining BHSI, he was Senior Vice President at AIR Worldwide where he built and led a practice providing engineering-based, site-specific risk modeling and evaluation for complex industrial and commercial facilities and operations. His background also includes catastrophe model research and development, supply chain risk modeling, and disaster risk financing and mitigation projects for corporations and sovereign states. He holds a bachelor’s degree in Civil Engineering from the Indian Institute of Technology in Delhi and earned a master’s degree and Ph.D. in earthquake engineering from Stanford University. Paul Kelley is the Head of Energy & Technical Property at Berkshire Hathaway Specialty Insurance. Paul has more than 25 years of insurance industry experience, including 12 years as a broker specializing in large integrated energy companies. 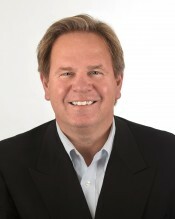 Prior to joining Berkshire Hathaway Specialty Insurance, Paul Kelley served as Senior Vice President – Property Executive for AIG where he oversaw the management, production, and performance of the Lexington Commercial Property and AIG Energy & Engineered Risk operations for the Gulf Coast and Southeast regions leading a successful effort to improve operational efficiency, strengthen the product line, and drive growth. Paul holds a Bachelor of Science degree in Political Science from Hartwick College. 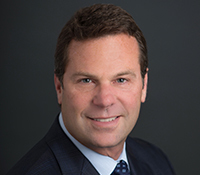 Dean LaPierre is Senior Vice President and Chief Underwriting Officer, Property at Berkshire Hathaway Specialty Insurance. Over his career, Dean has served in numerous positions, both foreign and domestic, in the Commercial Property sector including Engineering, Underwriting, and Underwriting Management. His specialties include high hazard property, construction, and catastrophe risk. Dean has been Lead Underwriter to many of the Fortune 100 companies in the areas of Energy, Manufacturing, Transportation, and Natural Resources. He is both a licensed Professional Engineer and Property/Casualty Surplus Lines Broker. 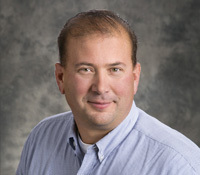 Dean holds a Bachelor of Science degree in Chemical Engineering from the University of New Hampshire and CAGS, Fire Protection Engineering from Worcester Polytechnic University, certified by the USEPA in Emergency Risk Management, and carries the Construction Risk Insurance Specialist (CRIS) designation. Mark Lingafelter is President of Berkshire Hathaway Specialty Insurance, Australasia. Mark has over 30 years of experience in the global insurance market. 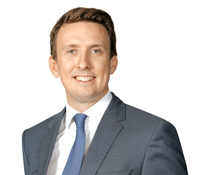 Prior to joining BHSI, he was Chief Underwriting Officer, Asia Pacific for QBE Insurance. Mark holds a Bachelor of Business degree from Colby College. 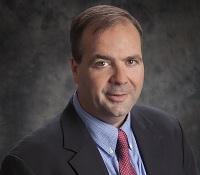 Todd Link is Senior Vice President, Chief Operating Officer and Chief Financial Officer of Berkshire Hathaway Specialty Insurance, responsible for Operations, Systems, Administration, and Finance. Prior to joining BHSI, he was Senior Vice President and Chief Finance Officer of Lexington Insurance Company. Prior to that, Todd was the Chief Financial Officer and Chief Compliance Officer at MPM Capital, a dedicated life sciences venture capital firm. Todd holds a Bachelor of Arts degree in Economics from California State University, Long Beach and a Masters in Business Administration from Suffolk University. 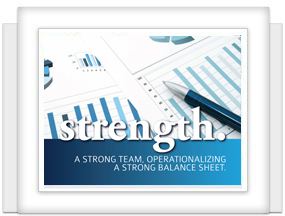 Todd holds the Chartered Financial Analyst designation. Lori Spoon is Senior Vice President of Berkshire Hathaway Specialty Insurance, responsible for customer engagement and retail and wholesale broker relationships. 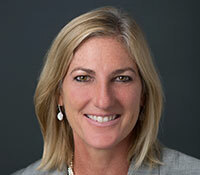 Prior to joining BHSI, Lori was Senior Vice President and Broker Relationship Leader with Zurich. Prior to that, Lori was Executive Vice President and Chief Administrative Officer, Commercial Finance Division, at CIT Group. 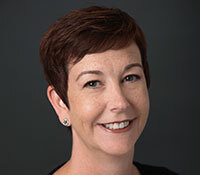 She has spent over 24 years in the commercial insurance industry, holding several senior level positions at Marsh Inc., including Managing Director and Chief of Staff of Marsh’s New York Operations. She began her career as an international underwriter with Chubb Insurance and is a graduate of DePauw University. Dean Sivley is President, Berkshire Hathaway Travel Protection. 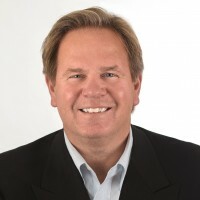 His travel industry experience includes serving as chief executive officer of Atlas Travel Technologies, vice president of marketing and chief information officer of Rosenbluth International, and chief operating officer at Orbitz. 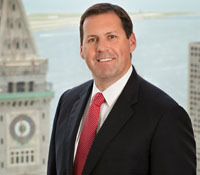 Dean took his travel experience and combined it with insurance in 2009 as chief executive officer of AIG-Travel Guard. 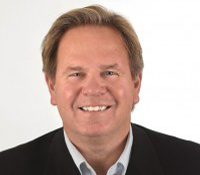 Dean left insurance to build the revolutionary technology-driven car service company GroundLink, and then returned to lead Berkshire Hathaway Specialty Insurance’s travel insurance division in May of 2015. Dean earned his MBA with honors from Columbia University, and his undergraduate degree from the University of Wisconsin-Parkside. In addition, Dean currently serves on the GBTA Risk Committee, and has served on numerous boards, including the United States Travel Insurance Association. 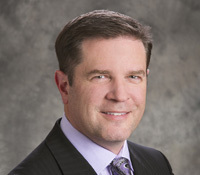 John Snyder is Head of Medical Stop Loss at Berkshire Hathaway Specialty Insurance. John has four decades of experience with employer self-funded medical plans. During John’s career, he has functioned as TPA, a benefits broker, and has served for more than a decade as President and CEO of Medical Excess, LLC. In addition John served as Chief Strategy Officer for Benefit Solutions, a division of AIG. 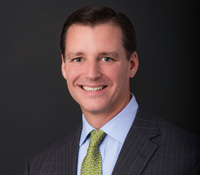 Ralph Tortorella III is Senior Vice President of Berkshire Hathaway Specialty Insurance and serves as the group’s Chief Legal & Compliance Officer. Ralph has been an attorney for nearly 30 years, previously serving as the General Counsel of Liberty Mutual Group’s Global Specialty, Commercial Insurance and International operations. 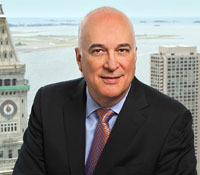 Ralph began his career as an associate and then partner in the Silicon Valley based law firm Ropers, Majeski, Kohn and Bentley, where he later founded that firm’s New York City office. Ralph holds a bachelor’s degree from Union College and juris doctorate from Santa Clara University School of Law.